As the oldest winery in America with its original land, Baker-Bird was built by German immigrants who settled in the Ohio River Valley and produced fine wines of the America’s Rhineland(R) in the mid-1800s. 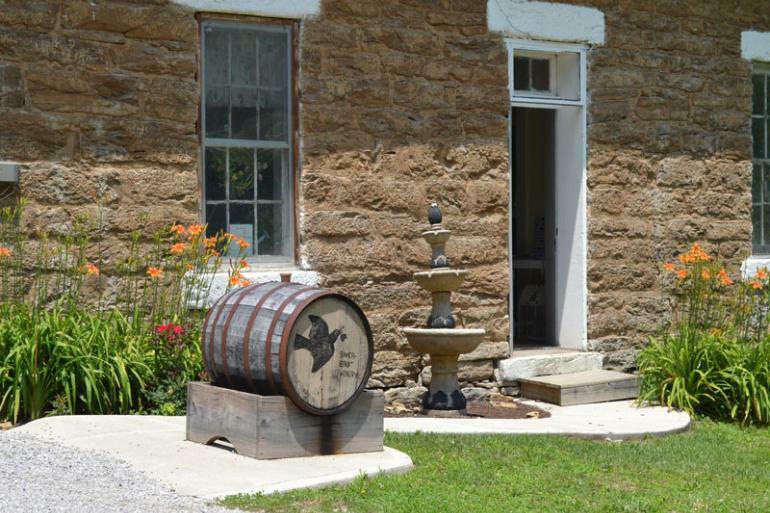 Taste award-winning wines in the original pressing room, take an historic winery tour and shop for goods and items produced by Kentucky farm families and local artisans. Proceeds from the sale of wine goes to restore the historic landmark as well as help support Kentucky farm families. The Guild's Mission Statement: "The Augusta Art Guild is an organization of artists who believe there are many visual, emotional and educational experiences that can only be perceived through the arts. Thanks to the generous efforts of Dr. Steve Henry, former Lt. Governor of Kentucky, and his wife Heather French Henry, Miss America 2000, Rosemary Clooney's historical home has been restored. The 1811 Augusta Jail is the oldest jail in the state of Kentucky on its original foundation. The 1st floor, the prisoner's quarters, have been restored and is open to the public.